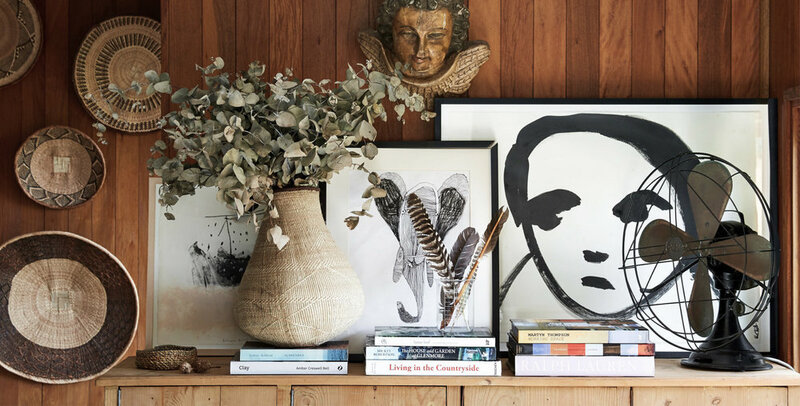 My style as expressed at home, as featured on The Design Files. Photography Caitlin Mills. Style is a way we can express ourselves. Often we do it without thinking. However, we can do it with intention, from a place of truth. Because when we consider our style we need to think about how we would like to see ourselves, and how we can become the best version of that vision. A stylist is someone who can help others to become their best version of themselves. This can relate to personal style, such as what we wear as well as how we live at home. A stylist's greatest skill is their ability to edit. They should be able to walk into a wardrobe or a home and make the most of what's available. Sure, to elevate a vision to the next level props can be brought in and some layers added, but this can be fraught. Because the stylist starts to execute their vision of something bigger than that person or home. This can make great imagery and for a strong portfolio, but where does that leave the person underneath all of those props? What happens to them when everything has been returned? They may have been given a glimpse into a new way of being, but how do they feel after the shoot? Maybe it was fun while it lasted but let's consider a more lasting way to develop a sense of style. That's why I'm here. Because I know how to loan props and create large sets in a studio and wave an illusory wand to create covetable magazine images and viral social media content. But that doesn't interest me as much as meeting real people with real stories and helping them develop their vision to share with the world. That is style to me - an outward expression of how we envision our lives. And it's a powerful tool for living our best lives.